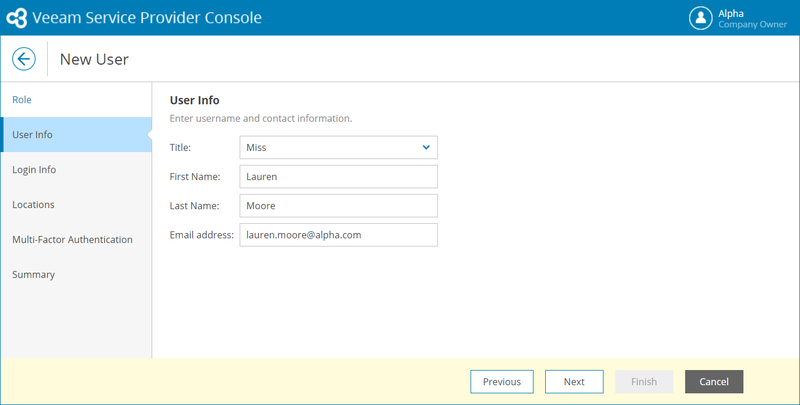 You can create new users with the Location User role. At the top of the user list, click New. 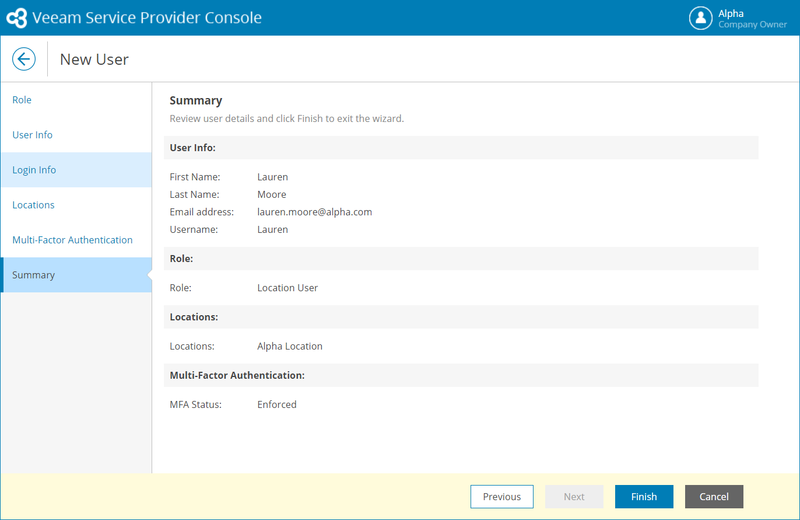 Veeam Availability Console will launch the New User wizard. At the User Info step of the wizard, specify user's title, first name, last name and email address. Veeam Availability Console can use this address to send email notifications to the user, such as password reset notifications. 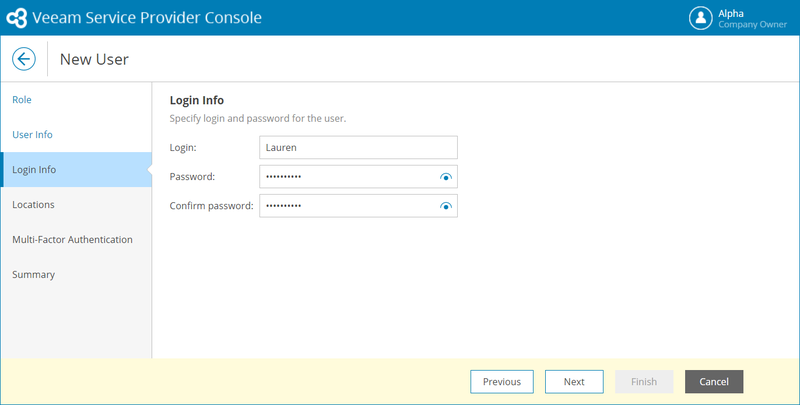 In the Username, Password and Confirm Password fields, type a user name and password. The password must contain characters from at least 3 of the following categories: uppercase characters, lowercase characters, base 10 digits (0 through 9), non-alphanumeric characters. The password length must be at least 6 characters. In the Role field, choose Location User. 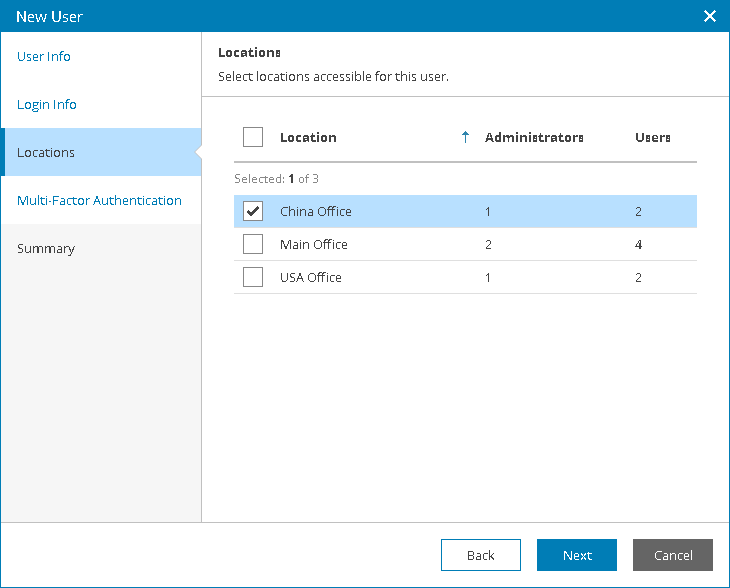 At the Locations step of the wizard, select company locations whose data must be available for the user in the Client Portal. At the Summary step of the wizard, review user details and click Finish.